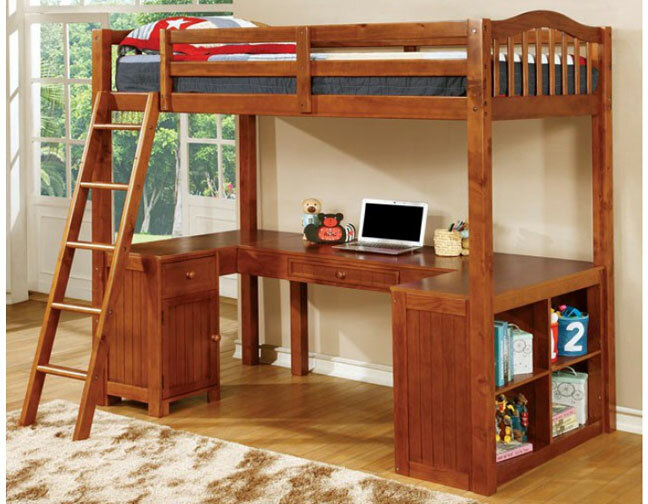 Perfect for studious youngling, this twin loft bed features a sturdy wood design with a convenient workstation below. 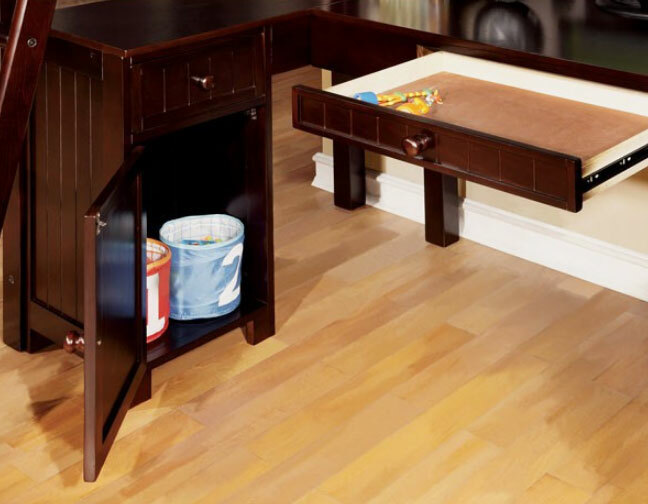 The loft design can be easily accessed with the angled ladder, which provides added support for the twin bed. Solid wood, wood veneer, others. 13 pc slat kits included. 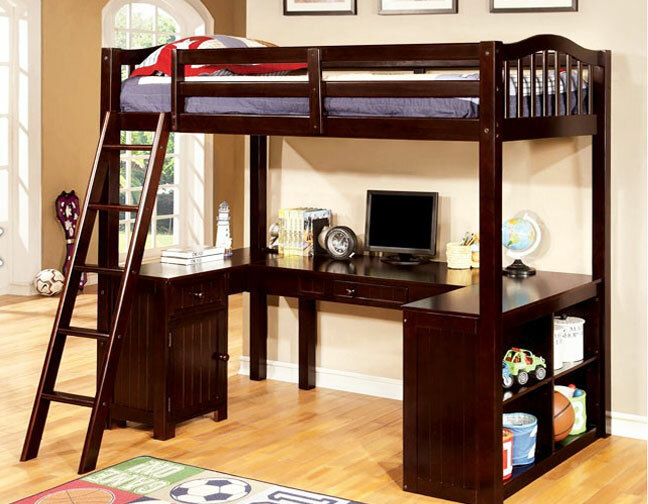 FL Comment: Very nice and sturdy bunk bed, suggested to use 6" mattress on the top bunk and bunkie board.